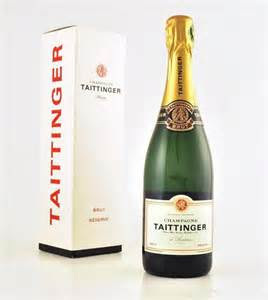 French Champagne giant Taittinger is to become the first Champagne house to make a sparkling wine in the UK. 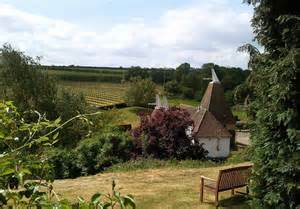 The French wine family have bought an old apple orchard in Kent and are to produce 3,000 bottles of Domaine Evremond fizz a year from 170 acres of chalk land west of Canterbury over the next five years. This is a further boost to the rising reputation of English wines, which recently beat Champagne in blind tastings. Taittinger's multi-million venture will plant the Champagne grapes chardonnay, pinot noir and pinot meunier on premium vineyard land at Stone Stile Farm (below). The site apparently has the ideal 'terroir' and soil to plant high quality wines on south-facing slopes at a maximum 260 feet above sea level. The bubbly, Domaine Evremond takes its name form Charles de Saint-Evremond, a French poet who increased the popularity of Champagne in England at the court of Charles II. Unfortunately, it cannot be called Champagne as strict rules say that only sparkling wine produced in the Champagne region of France can be labelled as such. Pierre Emmanuel Taittinger (below, left) is reported to have said that their aim is make something of real excellence in the UK's temperate climate and not to compare it with Champagne or any other sparkling wine. The company is also taking advantage of much lower vineyard prices in the UK, where an acre cost £25,000 compared with £350,000 in Champagne. In addition, it seems that sparkling wine makers have run out of land in France and their next move is to target China and Chinese consumers and once they catch-on to bubbles, there wont be enough sparkling wine to go around. Having recently tasted a bottle of white wine from China, they need some quality wines. As for the French, maybe they will now take English sparkling wine seriously!